This year’s AASA International Seminar took our group of superintendents to Ecuador. This was not our first journey to South America and we found education in Ecuador to be very similar to what we have seen in Costa Rica, Panama, Peru and Chile. 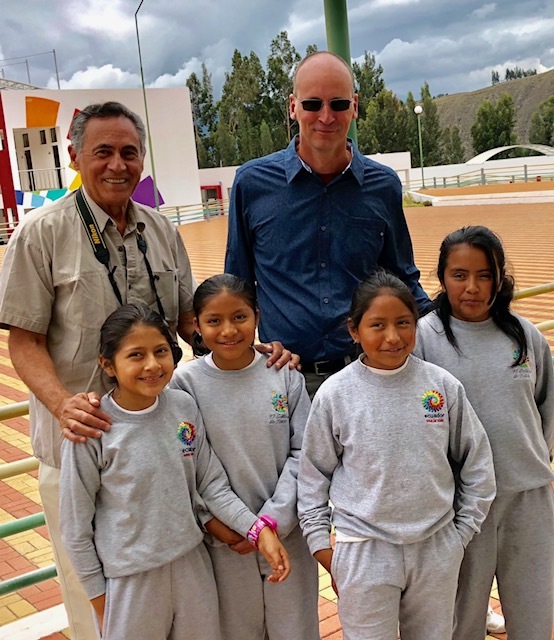 AASA President Chris Gaines and Executive Director Dan Domenech with children from the Milenio School in Guano, Ecuador. 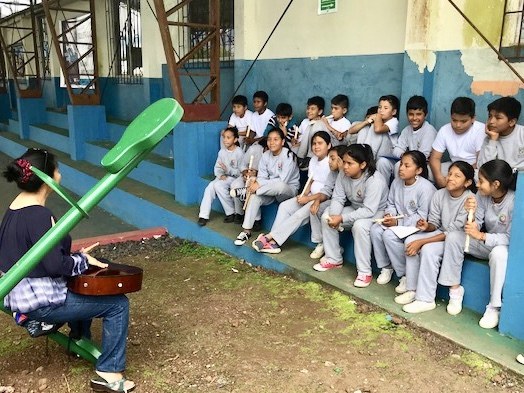 Like their neighbors, Ecuador’s public schools serve primarily the poor while the middle class and up tend to send their children to private schools. We visited two such schools, the American International School in Quito and the Vigotsky School in Riobamba. The International school is truly a model of outstanding education. Catering to the children of American diplomats and those that can afford the $18,000 per-year tuition, the school offers programs to infants through high school. We were very impressed by the college-like campus and the quality of the teachers and administrators. 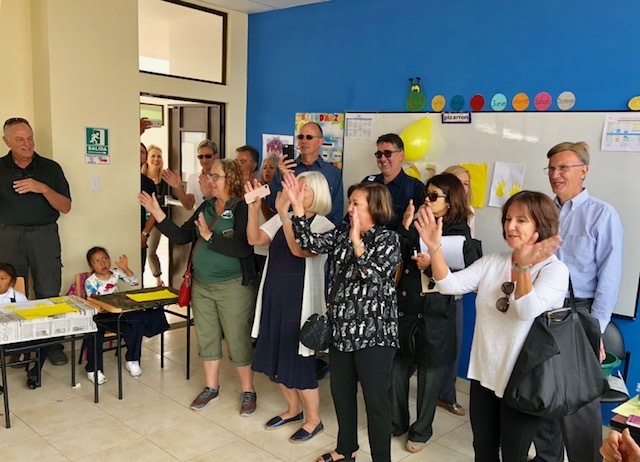 Today, we began our school visits at the Unidad Educativa del Milenio GUANO, a Pre-K to high school, housed in a four-and-a-half year-old government-built facility. The school has an enrollment of 630 students who previously attended seven different smaller schools now consolidated into one new building. The children attend school from September 4 through July 10 and live in the area of Guano. Some children are bused to school. As superintendents from across the U.S., we appreciate the opportunity to see the value placed on education in other countries. Clearly, other countries often aspire to provide a mandatory education for all, as we do. I ventured to visit schools on a hot sunny morning on the island. Not knowing if I would be given entrance to the schools, I decided to take the risk and was joined by David Woolly, the superintendent of the Alma School District in Alma, Ark. Given the lure around Charles Darwin on the Galápagos Islands, I was immediately attracted to visiting the Carlos Darwin School. Upon arrival, a native from Ecuador greeted us. The AASA International Seminar is always a meaningful experience for superintendents. During this year’s trip, we are learning about the culture and history of Ecuador, which includes the opportunity to visit schools. The value added is traveling with fellow superintendents from across our country, making connections and learning from each other. 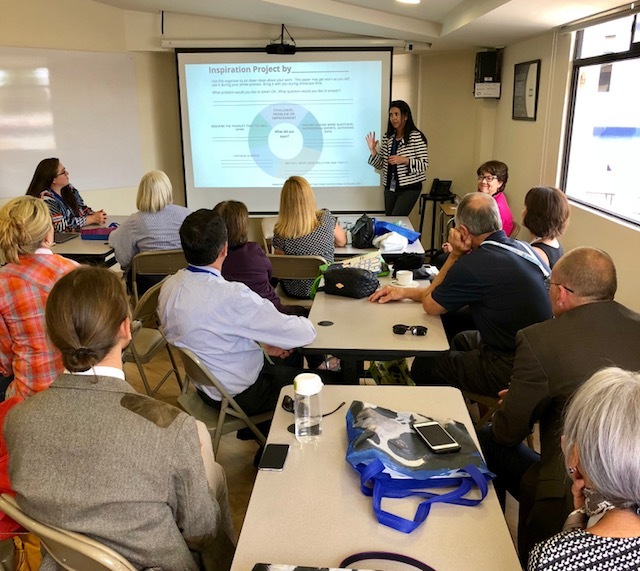 Superintendents on the AASA International Seminar listen to a presentation at the American International School in Quito, Ecuador. Our first school visit was to Academia Cotopaxi, an American International School, educating children from 12-months-old to high school. This school has a beautiful campus and is located in Ecuador’s capital city of Quito. The Academia is a private, English-based international school. The parents of many of the children who attend are stationed in Quito either through the embassy or are U.S. government officials. The children come from 38 different countries with a total enrollment of 850. Fifty-eight percent of the students are international, 42 percent are from Ecuador and 22 percent are from North America. The tuition is $18,000 per student.